In 2016 we'll become witnesses to some rare and beautiful cosmic phenomena, 6 of which we shouldn't miss, advise NASA experts. The most remarkable will be during May when Mercury crosses in front of the Sun. Newest publications and topics in regards to Cosmic Phenomena. Read about stories, mysteries as well as convenient advice on Cosmic Phenomena. Read the newest articles and publications about Cosmic Phenomena. We'll be able to witness a rare phenomenon in the night sky this month. Mercury, Venus, Mars, Jupiter and Saturn will line up and be visible to the naked eye. 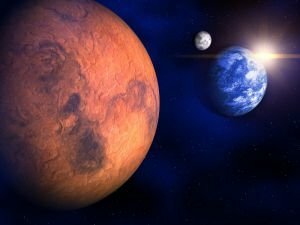 The red planet will be 57 million miles (92 million km) from Earth, which means that a little before sunset, Mars will be visible from our own planet throughout almost the entire night.